In today’s world of endless photographing, tagging and posting images online, what is a pre-teen girl’s relationship to the camera? 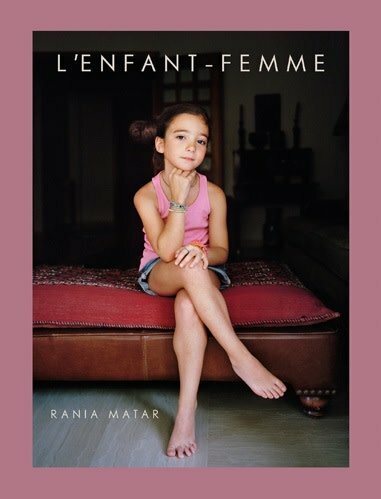 Upending assumptions of contemporary digital image-making practices, photographer Rania Matar (born 1964) reframes these young women through her poignant portraits of them, revealing in L’Enfant-Femme how girls between the ages of 8 and 13 interact with the camera and in so doing depicts them in deeply personal and poetic ways. Addressing themes of representation, voyeurism and transgression, these images remind us of the fragility of youth while also gesturing toward its unbridled curiosity and joy. Photographing girls in the Middle East and the United States, Matar makes us examine our universality, a beauty that transcends place, background and religion. Candidly capturing her subjects at a critical juncture in the early stages of adolescence, Matar conveys the confluence of angst, sexuality and personhood that defines the progression from childhood into adulthood.